When a conference review process breaks down, it’s not a pretty sight. Here’s how to keep yours motoring on. The peer review process is ultimately about asking the experts in a field to vindicate the quality of a piece of work and to help shape it for publication. Despite the well-documented flaws in peer review, it’s still the dominant method of identifying the most significant, novel, rigorous and original work in research. When you’re designing your conference’s peer review process, it’s helpful to be aware of some of the important differences between conference peer review and journal peer review. Research submitted to a journal will often be re-drafted and polished many times over, whereas an abstract submitted to a conference may be a little more rough-hewn. This is because conference proceedings reflect the most up-to-date research in your field. 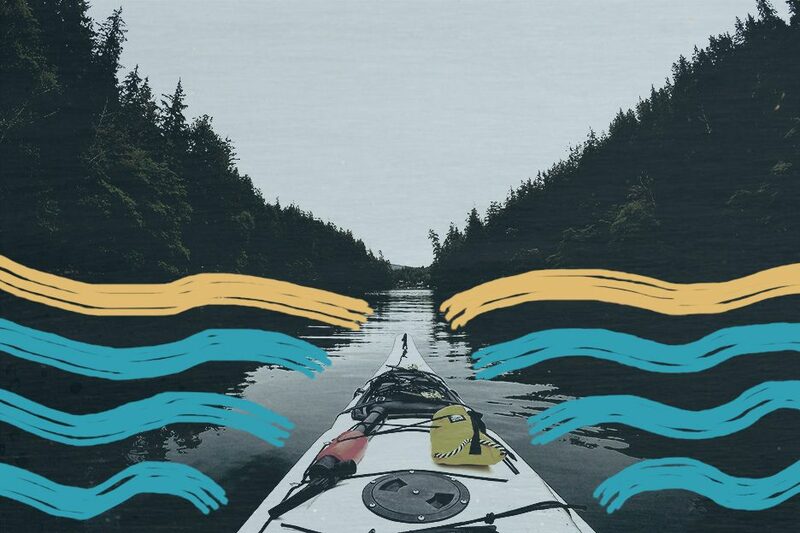 For this reason, reviewing for a conference can be incredibly rewarding, as it serves to keep your reviewers aware of emerging trends in their discipline. And while it may not come with the same prestige as reviewing for a journal, your reviewers will be assessing work that’s right on the expanding frontier of their field. When it comes to choosing your conference’s method of peer review, your organising committee will also likely enjoy more freedom than the editorial board of a traditional journal. (For example, this computer science conference couldn’t decide between single-and double-blind peer review, so tried both.) Which means that reviewing for your conference also potentially offers reviewers the chance to partake in more diverse types of peer review than they might experience at a journal. Having said that, managing your conference peer review process is a delicate balancing act. Conference peer reviews usually happen over a few intense weeks, with the majority of reviewers assessing multiple submissions. So reviewing for a conference generally means making a substantial time commitment, often with a big immovable deadline at the end of it (especially if you need camera-ready submissions for a hard print deadline). When a conference review process breaks down, reviewers will fail to provide the quality feedback that’s needed. And so high-quality submissions will be unfairly rejected (or sub-standard ones will be accepted), authors won’t get the feedback they need to improve, and the resulting conference proceedings won’t be a showcase of the latest and greatest research in your field. In short, without your reviewers bring onside, you don’t have a research conference. So instead of ruffling your reviewers’ feathers, use the following tips to ensure your conference has a robust peer review process. It’s really important that you invite enough reviewers for your conference. I can’t overstate how important this is. If you don’t invite enough reviewers, you’ll end up overloading the ones you have. Overloaded reviewers are not happy reviewers. And unhappy reviewers tend to withdraw their offer to review or go AWOL entirely. When they do, you’ll be left scrambling to replace them or off-loading their submissions onto other reviewers. Either way, there’s a good chance your conference peer review process will be compromised. Use the steps below to work out how many reviewers your conference needs, before you send a single invite. Then, decide how many hours work it’s fair to ask of your reviewers. Divide the hours of work by the time it takes to complete one review. This will give you the maximum number of submissions you should allocate to each reviewer. Mighty stuff. Next, consider the total number of submissions you’re expecting to receive. You now have the number of individual reviews your conference needs. Phew. Finally, add around 15% to the above number. Reviewers will decline or go missing, topics won’t be equally spread, nepotism or conflicts of interest may be an issue. Plan for reviewer drop-off now, rather than further down the line. Your reviewers are busy people with full-time jobs (and lives, even). One fantastic way to get on their bad side is to create review deadlines they can’t possibly meet. Maybe you had a lot of late submissions, which pushed your review timeslot back, but you still need to get acceptance letters to successful authors by an unmovable date. “I’ll just cut the review deadline by a week or so”, you think. It’s nigh impossible to precisely plan every conference deadline. But this isn’t an excuse to put your reviewers under pressure with an unfair review deadline. Your reviewing process will take place on top of their existing workload (which, let’s face it, is probably overloaded as it is) so you need to keep this in mind when you’re designing it. The vast majority of conference submissions come in around deadline day, so plan for this in advance. Create public and private submissions deadlines (a week or two apart) to give yourself some buffer time. Advertise the public deadline in your call for papers, but use the private deadline as the jumping off point for beginning your peer review process. This way you can accept your late submissions without affecting when the review starts. Then, recognise that the deadline you give your reviewers will slip. Most of the conferences we work with give reviewers four weeks to complete their reviews. It’s completely normal for this to run over by a week or two. So make sure you allow some buffer time between your review deadline and your next immovable date, whether it’s sending your book of proceedings to the printers or building your conference’s mobile app. A fine way to infuriate your reviewers is to allocate them submissions under topics they never agreed to review (and don’t have any expertise in). Reviewing work in an unfamiliar topic limits reviewers to assessing only the quality of the argument and the writing, because they’re unqualified to assess its technical merit or relevance. When an author’s expertise far exceeds a reviewer’s, your review process is violated. Reviewers are forced to give superficial reviews and authors don’t get a fair assessment, which is incredibly frustrating for both sides. This practice also removes reviewers’ opportunity for engagement with the cutting-edge research within their particular topic. At the roots of an efficient peer review process is the relevant allocation of submissions to reviewers. So how do you build this allocation? When you open your call for papers, include a list of topics that would-be authors can submit their work under. Then ensure your authors include this categorisation when they submit their research (make this stipulation crystal clear in your guide for authors, or make it a required step in your abstract management software). When you invite your reviewers, furnish them with this same list of topics and ask them to select the topics they’re happy to review. 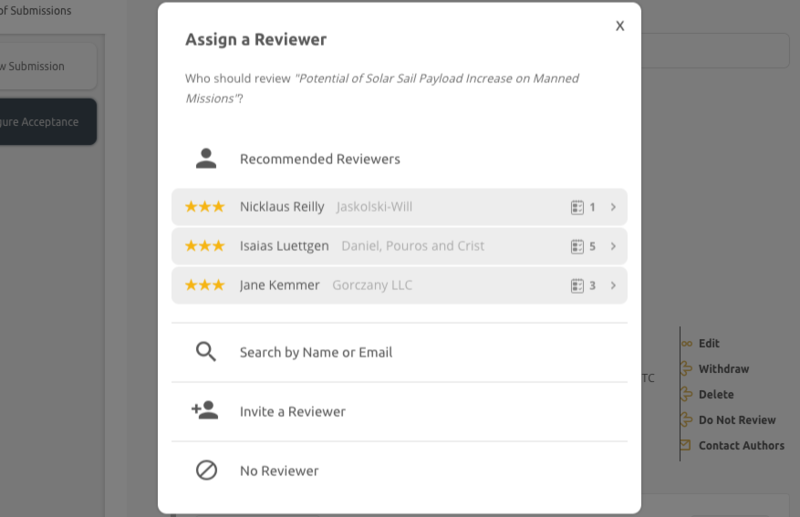 This way, you can keep an eye on which topic areas need more reviewers, and when you allocate you have a simple way to identify and respect your reviewers’ expertise. Then, as a further safeguard, give reviewers a mechanism to decline to review some submissions while accepting others. Go into detail where it’s not needed, and skimp on detail where it is. Leave room for ambiguity at every stage. Bonus points if your setup leaves reviewers unsure if they’ve recommended a submission be accepted or rejected. A clear, straightforward, usable marking scheme is the basis of any successful peer review process. Without one – and a clear role for your reviewers within it – you’ll be asking them to spend unnecessary amounts of time trying to interpret your instructions or guess at what you want of them. Instead of actually reviewing. Do you want reviewers simply to indicate whether or not a submission should be presented at your conference? Or should they categorise it into oral, poster, workshop formats? Do they need them to give detailed commentary? Or should they give individual scores for categories like technical merit or readability? This should all be clear from your marking scheme. 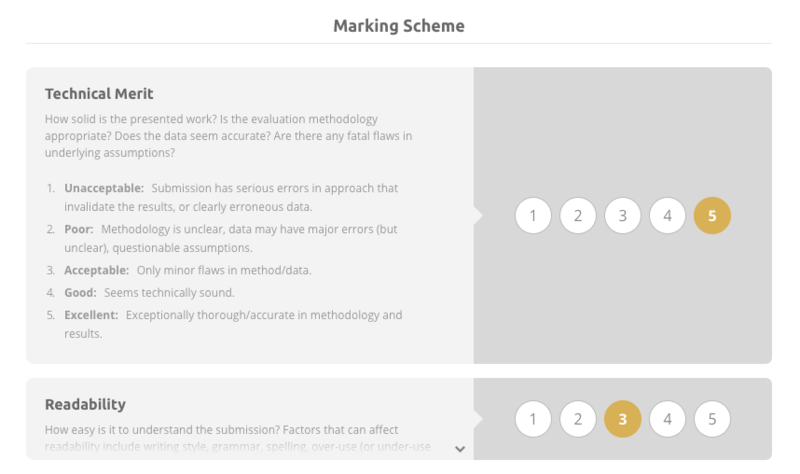 To ensure you’re giving reviewers all the info they need, outline your marking scheme (and any descriptions included within) as early as you can. Then send it to reviewers when inviting them to review so they’re clear on what areas they’ll be asked to critique. Then, before you begin your review process for real, round up some testers amongst your committee or volunteers. Ask them to complete a test review and give you feedback on how it went. Were they confused by anything? Getting feedback on any sticky issues now will save your reviewers (and you) pain later on down the track. If you’re planning to ask reviewers to complete a lengthy scoring sheet, and write a summary of the submission, then give detailed feedback to the authors, plus write in-depth feedback to the conference chair, just…hang on a second. Remember how long you’ve estimated it’ll take each reviewer to review one submission? How much of that will reviewers have to spend on the act of physically entering each review into your online peer review software or Google form? 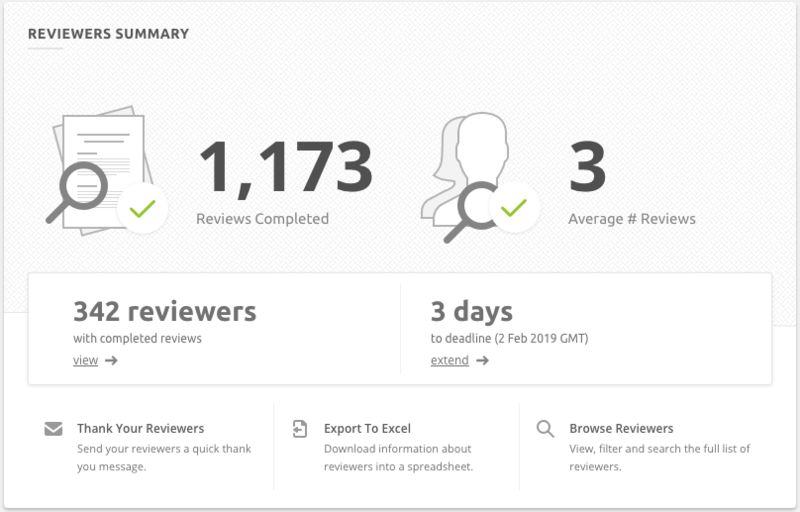 This might not seem like a big deal if people are reviewing one or two submissions, but if your reviewers are working through a longer list, any time they spend recording their reviews is time they may not give to completing more of them. Compare the bare-minimum review (the info you need in order to fairly accept or reject a submission) to the ideal review. Is there a happy medium somewhere in between? For example, could you balance necessary written commentary with a shorter scoring sheet? Play around with your marking scheme until you find the configuration that will give the best results in a realistic amount of time. And make sure you’re following online form best practice. For example, if you have lots of optional sections for reviewers to complete, ask yourself whether these sections are truly necessary, and if they’re not, consider scrapping them. At the end of the day, you need your reviewers more than they need you. So walk a mile in their shoes and make sure you’re setting up a pain-free peer review process for them.